"Even if you're on the right track, you'll get run over if you just sit there". Watch this video introduction to learn more. 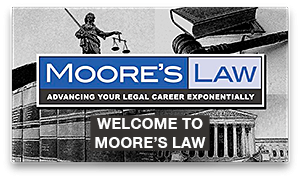 Michael Moore J.D., is a professional coach who specializes in helping lawyers and law firms. Lawyers gain a competitive advantage having someone help them assess their strengths, set goals and stay on track. Law firms gain a competitive advantage having someone help them focus resources, leverage client development and build strategic growth. Michael Moore helps lawyers overcome obstacles to their success by using a detailed plan of action focused on realistic, achievable objectives. The process is not just a program or an event. Maximizing the value of a professional legal coach requires commitment. Lawyers learn specific skills and how to effectively use them. Michael’s book, “The Lawyer’s Toolkit for Creating Both Personal and Professional Success” is available from Thomson West or directly on Amazon in print or e-reader versions. The short, “how-to” chapters highlight all of the non-legal skills necessary for today’s professional lawyer and include illustrative, real-life examples. 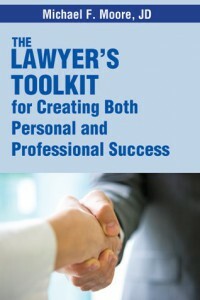 The book is used as a reference guide by individuals or as a teaching tool in lawyer development and mentoring programs. Michael also adds value for law firms through strategic organizational and resource optimization. He has implemented proven methods to increase both associate and partner productivity, improve client development and increase profits. 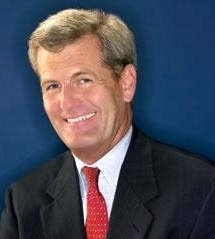 He has helped firms with strategic planning, marketing programs and lateral recruitment as a growth option. View Michael’s LinkedIn profile at Legal Coach. Follow Michael on Twitter at Legal Coach. Or just call him directly at 414-467-5983.